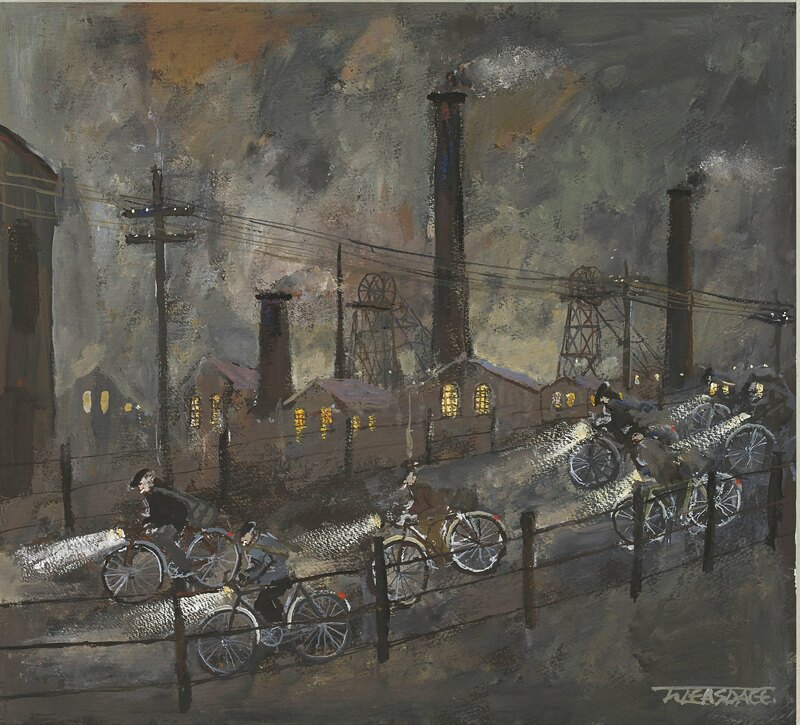 It is quite easy to understand why Geordie artist Malcolm Teasdale is popular with the gallery’s clients. 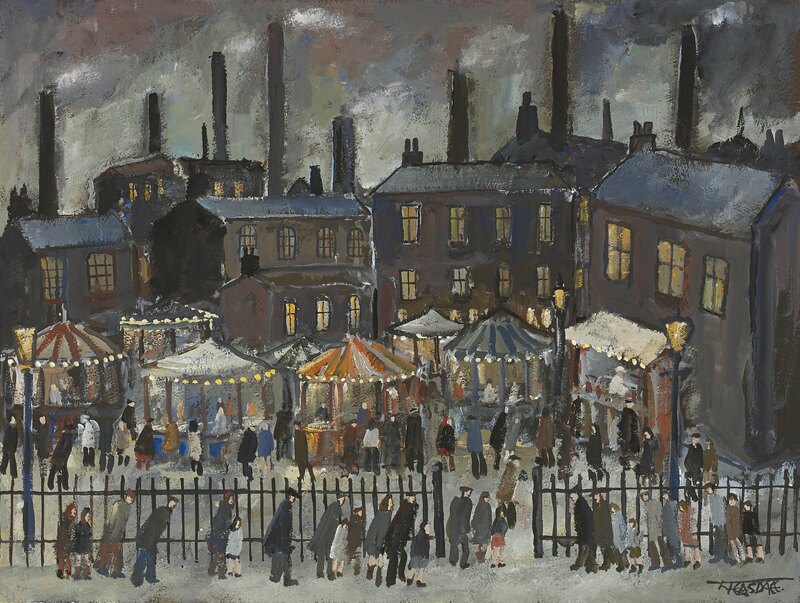 His works depict the engineering, mining and shipbuilding that were part of Tyneside life in the 1940s and 1950s which he remembers from his childhood. A world that has now mainly gone. 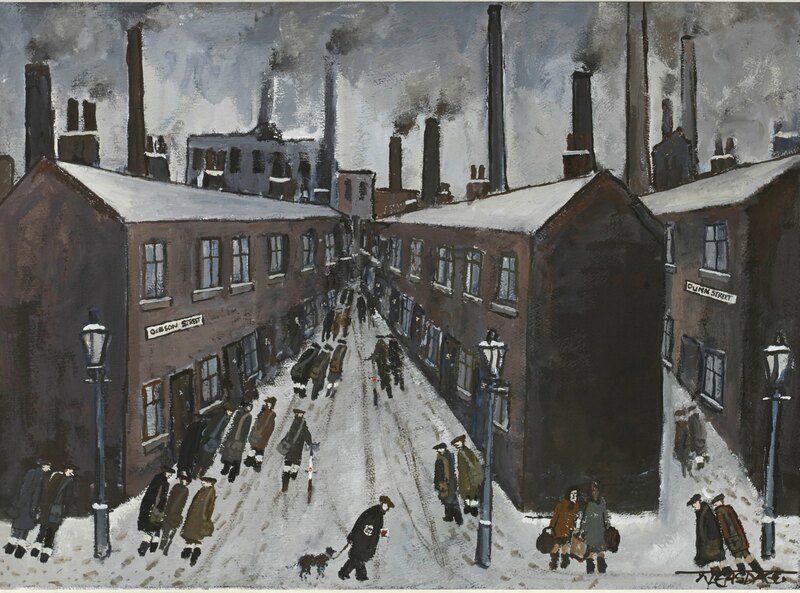 He is a worthy follower of ‘Northern School’ artists such as L S Lowry and Alan Lowndes and like them captures the spirit of time and place in a way that draws the viewer into this intriguing , evocative world whatever their age. This entry was posted in Contemporary Art, Fine Art, Visual Arts and tagged contemporary art, Fine art, Tyneside, Visual Arts.